I was beginning to think this wasn’t going to happen. 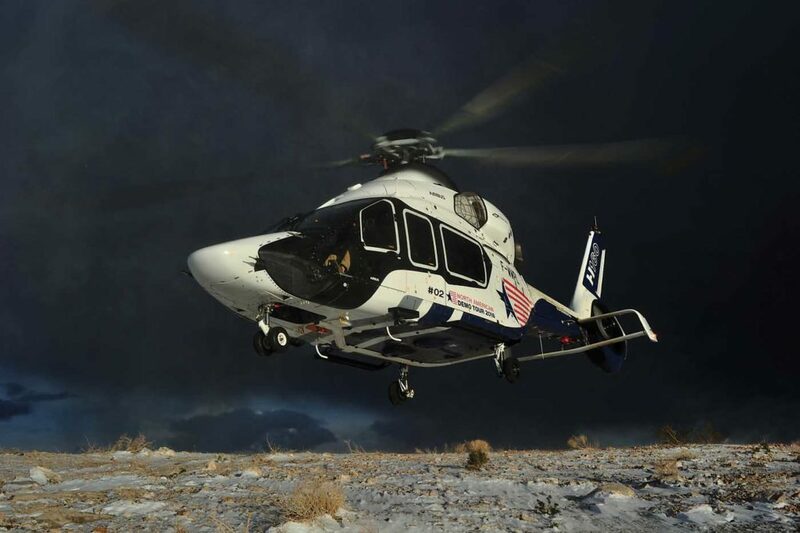 Our camera ship was stuck a 15-minute flight away at the Henderson (Nevada) Executive Airport, engulfed in a winter snow shower that had brought visibility below one mile. “This is Vegas!” I thought. “Where the hell did this come from?! Isn’t it supposed to be sunny and warm here in the winter?” Normally… but a strong Pacific trough had moved in the day before, and was now pouring cold moisture over Mount Charleston and the foothills west of Las Vegas. Our very limited opportunity seemed to be slipping away. 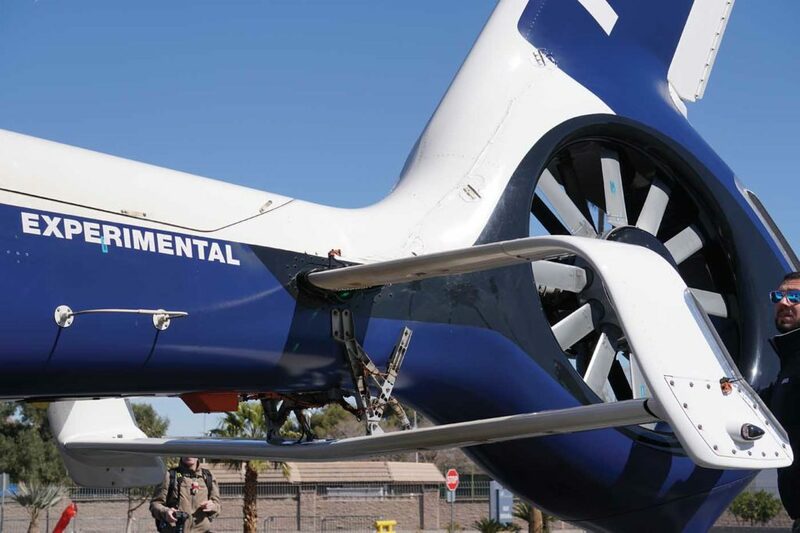 Airbus Helicopters had offered us a chance for a demo flight and photo shoot with the H160 — the next-generation replacement for the venerable AS365/EC155 family of helicopters — out of the North Las Vegas Airport (KVGT) on Feb. 23. 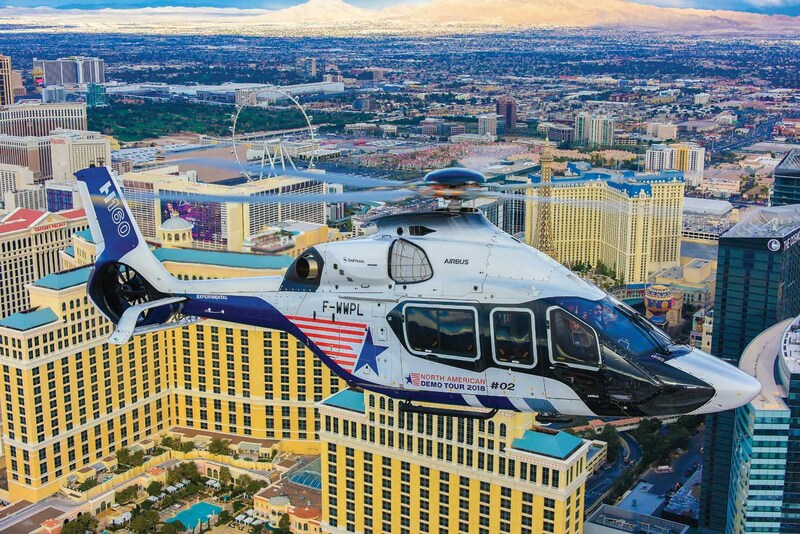 The aircraft was scheduled to fly into the Las Vegas Convention Center for HAI Heli-Expo 2018 early the next morning, and there wasn’t going to be any wiggle room for rescheduling. 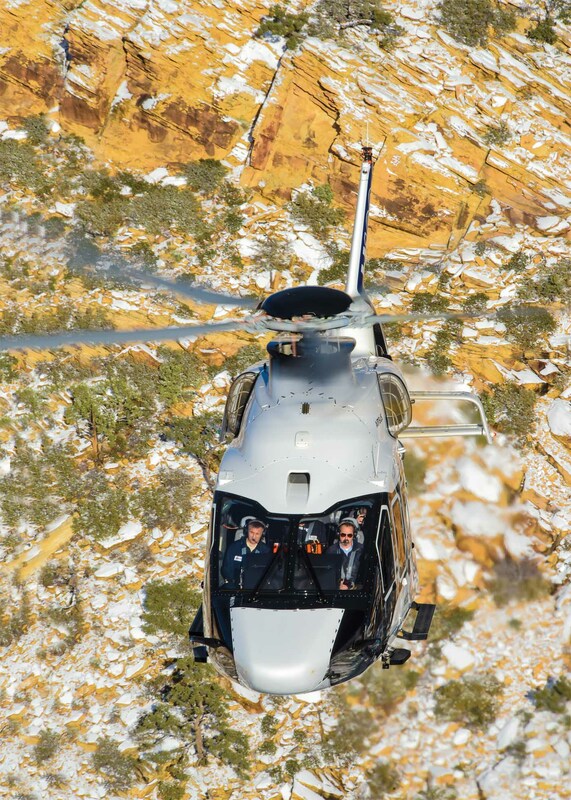 Test pilot Olivier Gensse and chief engineer Laurent Maruejols had been on a precise timeline since arriving in the U.S. with the second H160 prototype, F-WWPL. We were scheduled to do a briefing at KVGT at 2 p.m. before departing for the flight evaluation and photo shoot in Red Rock Canyon, but the weather was having none of that. Not only was our primary photographer, Vertical publisher Mike Reyno, stuck with the camera ship in Henderson, cloud cover was spoiling the light and the wind in the mountains where we planned to fly was gusting 25 to 35 knots alee. Finally, a little before 3 p.m., Reyno called to say there was a break in the weather and they would be there shortly. I would get a chance to fly the H160 after all. I had arrived at KVGT early, along with Vertical photographer Skip Robinson, who would be riding along with me in the H160 to take in-cockpit and other shots as the flight progressed. Not only did we want to make sure we weren’t late, I was hoping to get more saturation time with this new, intriguing aircraft. There are enough novel things about the H160 that I needed to explore them not just in the formal flight test, but in the kind of informal hangar atmosphere where detailed techno-speak flows more freely. The airport manager drove us to the rented hangar where Airbus’s technical and engineering staff were holed up with the aircraft. At the rear of the hangar, in a dingy work room that appeared to have once served as a battery reconditioning station, an old steel table served as the workspace for a number of engineers and technicians, with their laptops and other modern tools of the trade packed on top. These were the flight test and development team members assigned to the H160 project, who had been traveling different parts of the globe expanding the envelope of the aircraft in the harshest of conditions — from cold to hot, low to high — wherever those conditions could be had. Slightly embarrassed with the accommodations my country was leasing to them, I asked, “Are you OK here?” They collectively brushed it off as no big deal; they had seen plenty worse. Gensse and I slipped right into conversation like pilots do when talking about the things they are most passionate about: common experiences and acquaintances; been-there, seen-that’s; the failures and successes of new and old technologies. I could have spent another week talking to him, but then we got the call about the break in the weather. Half an hour later, the photo crew was gathered around the table with the Airbus team to brief the aerial shoot, which would start with a pass through downtown Las Vegas. By the time we were ready to go, it was 4:30 p.m., and the only sunlight visible was beyond the high overcast, peeking through the mountains somewhere to the west as the sun lowered to the horizon. Getting into the cockpit was easy through very large, automotive-style doors, which felt solid and were easy to use thanks to handles similar in design to those used on most cars. The devil is in the details, they say, and Airbus seems to have put a great deal of effort into making this new airframe devilishly functional. One of those details is a visual indicator on each door, visible from both inside and outside at a good distance, which shows red when the door is open or not fully latched, and solid green when it is secure. A quick glance over the shoulder from the cockpit allows pilots to confirm whether the doors are latched and ready for lift-off. The cabin window design also provides a wide area of visibility from the cockpit to check outside surroundings easily. The starting sequence was similar to that of the older EC155 that my company operates, with a few notable differences. 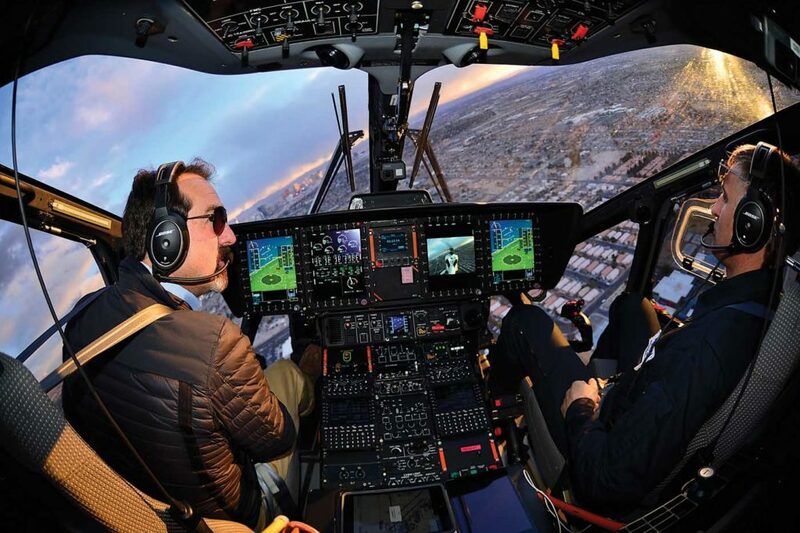 In the H160, there is no manual autopilot test (it’s completely automated, including the cyclic centering function) and no fuel boost/transfer switch management or tests (as the fuel system is also fully automatic and transparent to the pilot). 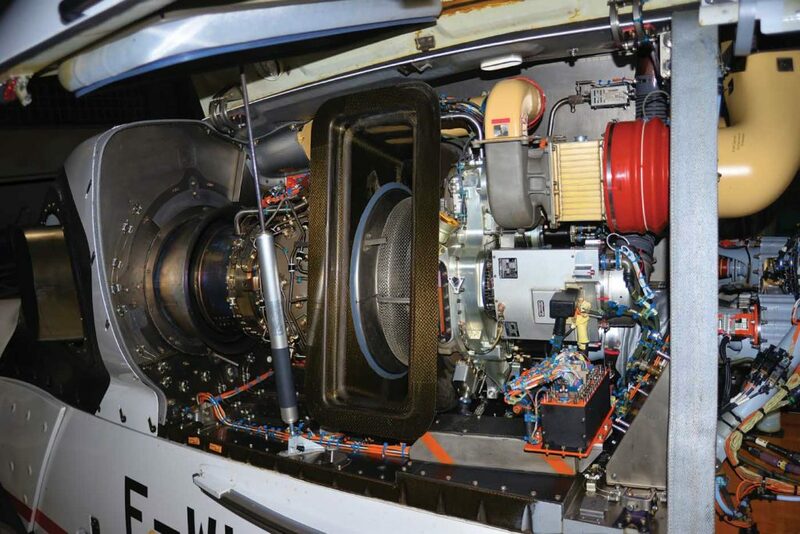 And two separate batteries allow the two Safran Arrano engines to be started simultaneously, if the need arises. the design of the transmission and all-composite airframe. Gensse said the decibel level in the production aircraft with standard interior will be lower still. Immediately, as I began taxiing out to where the photo ship was waiting for us, I noticed how much more stable the H160 felt on the wheels compared to the 155. We were rolling with a calculated gross weight of around 12,200 pounds (5,535 kilograms), just 300 lb. (135 kg) shy of the maximum takeoff weight of 12,500 lb. (5,670 kg) that Airbus is targeting for initial certification. 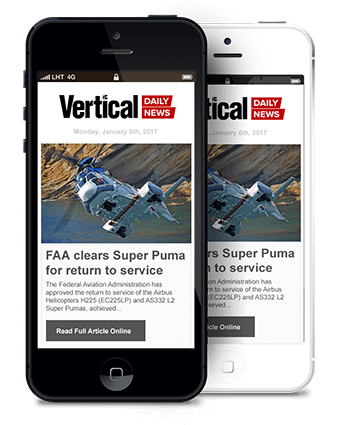 Airbus said it also plans to have a supplemental type certificate at entry into service for an extended gross weight of 13,338 lb. (6,050 kg), with some limitations that are not expected to impact most customers. Gensse had briefed me on the design and function of the Safran electric brake system before the flight, so I was eager to try it out. Up to that point, the only electric brake system I had used was the emergency brake system on my own car, so I was somewhat skeptical about giving up the feel and control of the old hydraulic brake system in favor of pure electric. I’m a believer now. Not only were the brakes more easily actuated than the old-style hydraulic brakes in the 155, the feel and power was linear, precise and controllable. The pedals in the H160 have also been redesigned to make it easier to toe the brakes without having to slide your feet up, which makes braking while taxiing a simple and seamless task — something that could come in handy in tight places like platform and shipboard helidecks. As a bonus, the carbon-matrix rotor disc pack and electric calipers also lighten and simplify the brake system. Though the aircraft we were in had not yet been equipped with it, the production landing gear system on the H160 will be all electric as well, simplifying and lightening the system by eliminating hydraulic reservoirs, lines and actuators. Gensse said the cycle time for the landing gear system, from fully up to down and locked, will be four to six seconds. I’m all for these types of improvements. Earlier in my conversation with Gensse and Maruejols, they used the term “spirit” a lot. 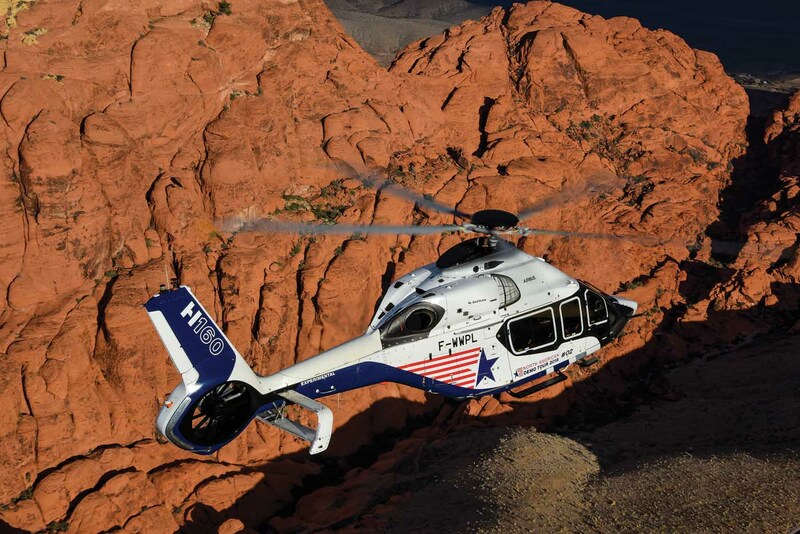 With the H160, Airbus aims to make real-world advancements in simplifying systems not only for the obvious benefits of cost and weight savings, but also to streamline manufacturing processes for quality control and efficiency, enhance reliability and reduce pilot workload. So the “spirit” of the H160 is really an inclusive package of many forward-looking improvements. Once we were in position and ready to go, the camera ship took off and headed southeast for the Las Vegas Strip. 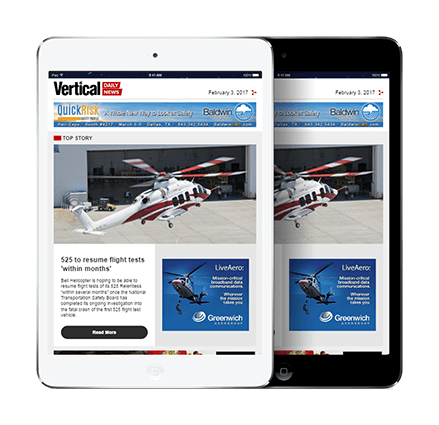 I lifted into an eight-foot hover, scanned the first limit indicator (FLI) on the Helionix avionics suite, and pulled enough power to keep pace with the Airbus H125. Not even near a max continuous limit, the aircraft felt light and solid, easily maneuverable. As we got close to the photo ship, Gensse took over the controls to tuck in close and low on the H125’s left aft side. As Gensse remained visually glued to the camera ship, I assumed radio duties and kept a lookout for traffic and obstructions. With Reyno directing us using hand signals and relayed radio commands as he shot through a special camera window, we slow-cruised southward down the Strip until abeam McCarran International Airport. Then we made a coordinated right turn westward toward the Red Rock Canyon area and the only direct sunlight around. contrasting against the dusted boulders and trees in the high country, and the sun striking us at a dramatic, low angle. The dark overcast behind us made the photos pop. The wind coming across the ridge to the northwest of us remained at 25 knots with gusts to 30, and being on the lee side of the main range made for some not-so-smooth conditions in which to work. By the time we reached the first location in the Spring Mountains, our gross weight was down to around 11,800 lb. (5,350 kg), and we were hovering stationary while Reyno worked the angles around us in the photo ship. The pressure altitude was 6,700 feet, and the temperature 2 C (35 F). During some of this time, Gensse wanted to demonstrate the capabilities of the four-axis auto flight system to make pedal turns, and perform slow climbs and descents per Reyno’s instructions. The auto-flight system handled all of the commands and held headings/altitudes well during the gusts and downdrafts. I was able to select a display page of engine parameters and watch the margins. Most of the time in the hover, our power setting showed a comfortable margin available with the occasional use of a time-limited range, as we held a direct 25-knot gusty crosswind. 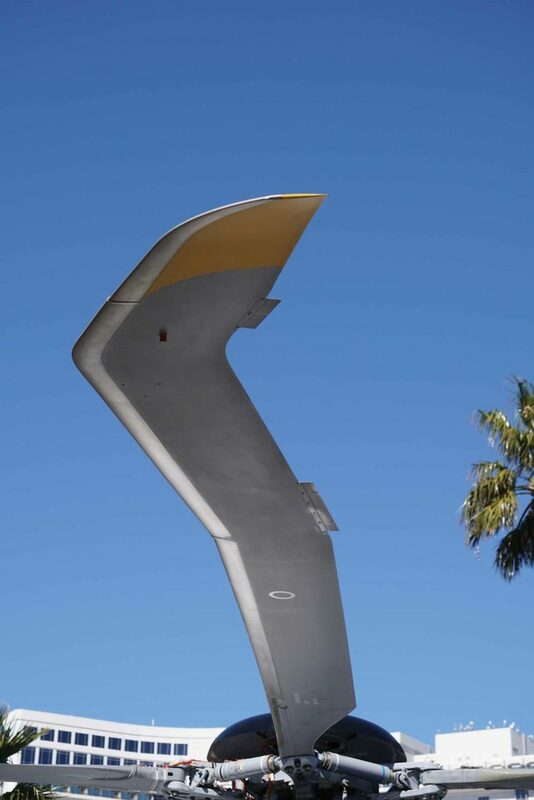 I was impressed by the authority of the new Fenestron tail rotor, which has a canted design to deliver an additional 176 lb. (80 kg) of lifting ability. Gensse said it is the most powerful Fenestron yet produced, and its performance actually exceeded design expectations. He said it has been tested to 50 knots of crosswind at gross weight. Eventually the sun crept low enough that Red Rock Canyon began to get good light, so we headed back east and concluded the photo shoot there. It was now “my” time with the H160, and I headed to a nearby landing zone (LZ) on a flat ridge that I had visited during a previous HAI Heli-Expo demo flight. As I began my eye-level recon, I saw that a windsock had been added to the site, and it looked quite suitable for a landing. Slopes and unprepared surfaces present a challenge to pilots when the exact placement of the gear is critical to keep from setting down on unforgiving objects and causing damage. But the visibility from the H160’s pilot seats takes most of the guesswork out of picking the right spot, and the smooth control response makes it easy to put it there and hold it, even under the windy conditions we had. Being able to so clearly see detail below your feet and out to the sides without having to contort yourself in the seat is uncommon in a helicopter of this weight class. We dropped Robinson off at the LZ, and I did some “sporty” maneuvers to get into good positions for his shots. This is where I got to really feel out the control margins and responsiveness of the main rotor and Fenestron. Low airspeed maneuvering using pedal, slips and skids to a hover, crosswind pedal turns: easy. No special technique, no surprises. Those kinds of maneuvers would have had the stability augmentation system (SAS) and auto-pilot kicking off line in the EC155, but the 160 took it all in stride. After receiving the thumbs-up signal from Robinson, I landed back at the spot where we let him out; he boarded, took his seat and belted in. We were ready to head back to KVGT. By now it was getting late, so I asked Gensse if we could use the remainder of our time to do some pattern work including single-engine landings and SAS failures. Gensse agreed, so while en route to the airport, in addition to demonstrating the auto-flight unusual attitude recovery mode, we went over the procedure for single-engine training mode. Training mode is fairly straightforward: you don’t need to select any engine to “fail,” since the aircraft doesn’t respond any differently whether the right or left engine is failed. With the training mode selected, power limits are recreated on the display, calculating available single-engine power. No engines are rolled back or reduced, so there is no re-engagement of freewheeling sprag clutches between training mode and operating mode that could do damage to drivetrain components. Once in the pattern at KVGT for runway 30R, Gensse let me fly with SAS off to a landing and then demonstrated a unique feature of the new auto-flight system: auto-land from a CAT A takeoff profile before the takeoff decision point (TDP). That sounds like a handful, but it wasn’t. With the autopilot engaged, we initiated a vertical takeoff profile and simulated an engine failure before reaching the TDP in the profile. The system took the aircraft back down to the runway using “simulated” available power with no manual intervention. If we had selected the failure after the TDP, the system would have flown the profile for continued takeoff to safe single-engine speed (Vsse), with the only difference being that the pilot needs to tell the system with the press of a button when the aircraft is at the TDP, in order for the autopilot to determine what course of action to take. Another pattern and another demonstration on downwind: full authority digital engine control (FADEC) authority over rotor RPM. With a quick upward pull of the collective, followed by a sharp thrust downward, the RPM held steady. I’m glad Gensse did this one, not me; I could only envision myself making such radical control movements in some kind of certification test flight, or in a crazy life-or-death maneuver to avoid another aircraft. Nonetheless, the 160 shrugged it off as no big deal: no exceedances or out-of-limits indications. After readjusting my seat belt, I performed a rolling landing from a single-engine approach, although I didn’t need to; the aircraft had enough simulated single-engine power for the whole series of patterns. Oh, and those electric brakes? 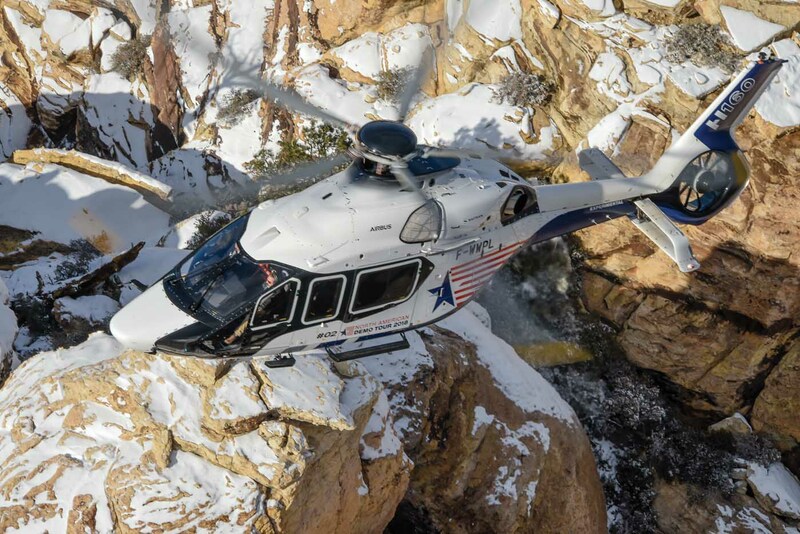 To demonstrate their safety benefit, Gensse told me to keep the speed up on landing, then grabbed the parking brake knob and set it to “on.” In the EC155, I would be purchasing new main tires at this point, but in the H160, the system firmly applied the brakes to bring the aircraft to a rapid stop without the slightest squeal of rubber as if it had an anti-lock braking system! Cool. We completed a simplified checklist for shutdown. 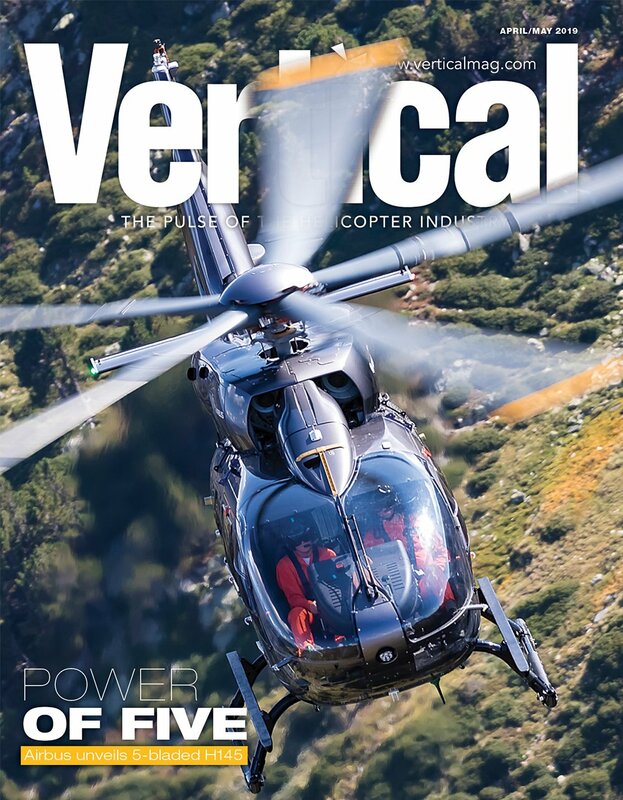 As the main rotor blades came to a stop, I was reminded by the sight of the five highly contoured Blue Edge blades that we had been flying with a lot of new technology — all designed to make the H160 stronger, lighter, quieter, faster and more efficient than any previous helicopter in its weight class. 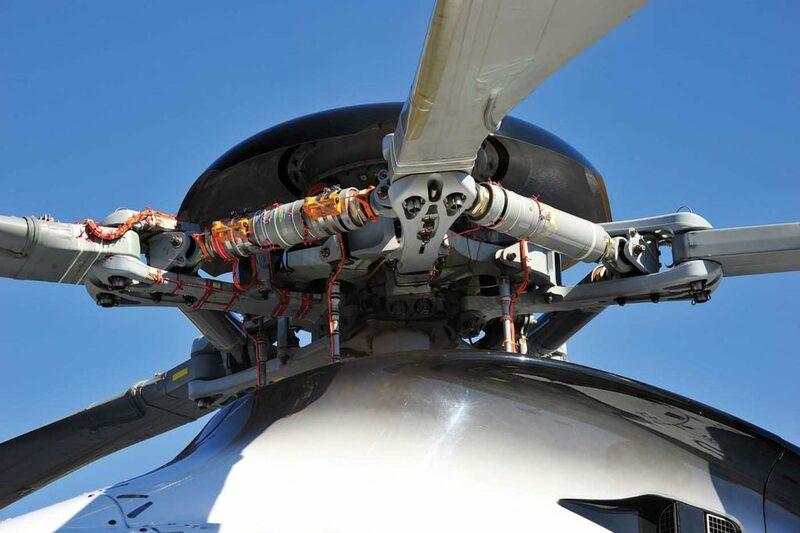 The main rotor blades alone allow the H160 to maintain the 170-knot sea-level never-exceed speed up to 5,000 feet pressure altitude, and the new Safran Arrano engines claim to burn 10 to 15 percent less fuel for the equivalent horsepower output of similar engines in the same class (1,110 to 1,300 shaft horsepower). According to Airbus, that will give the H160 an advantage over competing aircraft, such as the Leonardo AW139. Behind the controls of the H160, I didn’t get the feeling that I was flying such a large aircraft. Between the visibility and the ease with which it handles, it seems much smaller from the cockpit. In comparing it to the aircraft it was designed to replace, the EC 155/AS365, I have to say that its new technology represents a much greater overall improvement than in past model upgrades. From the two hours I got to spend in the cockpit of this new, “clean-sheet” aircraft, I’m impressed. 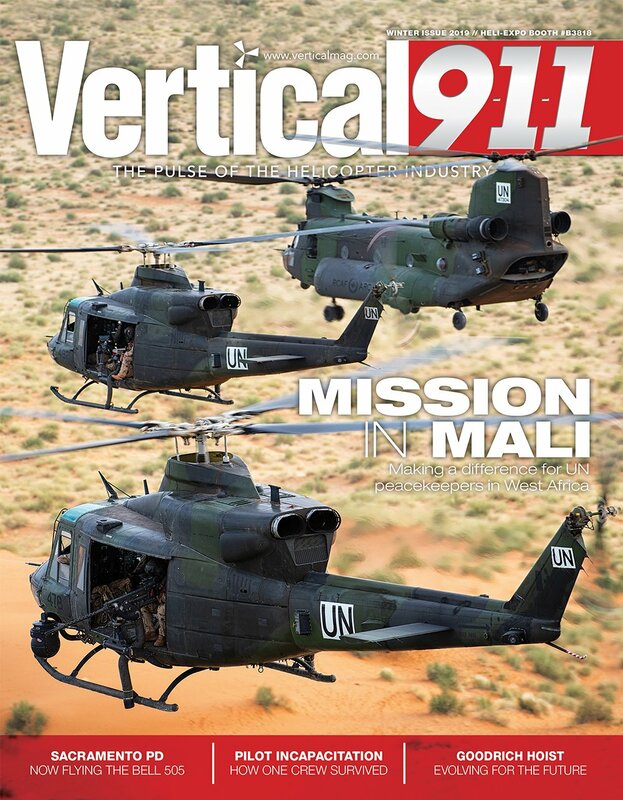 If the claims of reduced acquisition and operating costs prove to be true, Airbus will have a real contender in the medium weight class aircraft for the offshore, search-and-rescue, emergency medical services, and corporate charter markets. Time will tell. I just shared this with our Airbus H160 Facebook group. You answered my only concern with the redesign of toe brakes – the current set-up/awkwardness in 155/365 toe position inhibits running landings with toes inadvertently applying brakes.